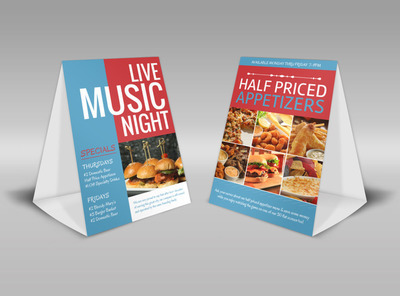 Our table tents are available in 4'' x 5.625'' (finished assembled size) and shipped flat. Please note: digital print only, and bleeds are not available with this product. Starting as low as $22.35 for 30 digital table tents!